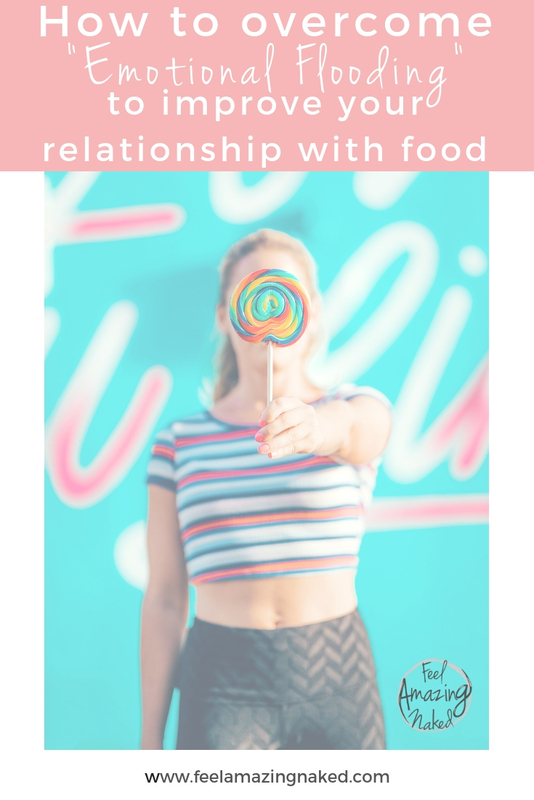 Why is it that we know how to eat on paper but we can’t stop ourselves sometimes from devouring the entire bag of chocolate chips or making the late night Taco Bell run? 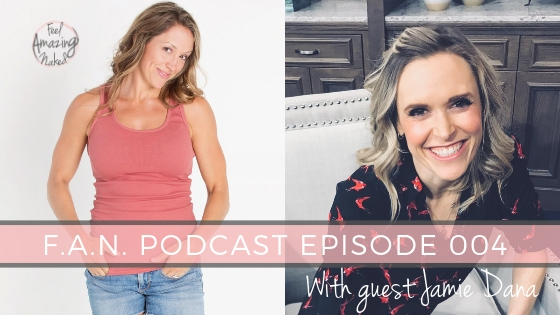 In this episode, I interview my friend, colleague and Nationally certified Counselor Jamie Dana, MC, LPC to tackle this all-too-common struggle! She runs her own practice, Elevate Counseling, in Peoria, Arizona. She has been a constant source of support for me and brings her unique insight as a guest expert in my Feel Amazing Naked program. Her approach to counseling is straightforward, realistic, and supportive, with a touch of humor, in a nonjudgmental environment. Point blank…she rocks! You can find her FREE 5-day course to reduce anxiety in your life HERE. You can find the article mentioned on “Learned Helplessness” HERE. You can connect with Jaime and her Free course to help “Bust through your anxiety” HERE. Have you subscribed to my podcast yet? If you want to kickstart your path towards feeling amazing naked, then join my FREE 7 Day challenge. 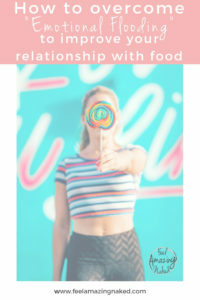 In this challenge, I will be sending you 7 days of REAL strategies and a daily challenge that will begin to shift your mindset when it comes to food and your body. You will also gain access to my private F.A.N. community where you will be surrounded by like-minded women who share your struggles. will be there to cheer for you and where I will be there to answer your questions.